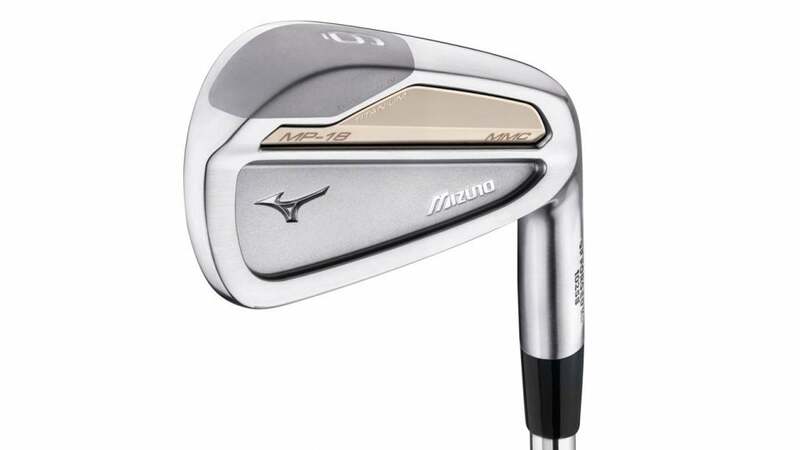 The new Mizuno MP-18 MMC iron. SPECS: 4-PW, with Nippon NS Pro Modus 120 steel shafts. RECOMMENDATION: Target low- and mid-handicappers who want plenty of workability and feel with some enhanced forgiveness. KEY TECHNOLOGIES: Mizuno's steel is subject to six times tighter tolerance than industry standards for a sweet forged feel; light titanium forged into the carbon steel body frees up discretionary weight to go toward extra forgiveness; tungsten weighting low and in the toe aids launch while expanding the sweet spot. This multimaterial construction comes out of a three-year collaboration between the company's engineers and its forging house, melding lightweight titanium and dense tungsten with a soft carbon steel body to lend added strength and forgiveness to classic Mizuno feel. The progressive design loses the tungsten in the scoring clubs while maintaining a sleek profile that runs through the whole MP line. That means you can mix and match without missing a beat, even as you drop a few shots. "Fantastic set that mixes the concept of workability in the scoring irons with forgiveness in the long irons. Above-average ball speeds with mid-level spin rates. Very forgiving in the long irons, but great responsiveness and workability in the scoring clubs."